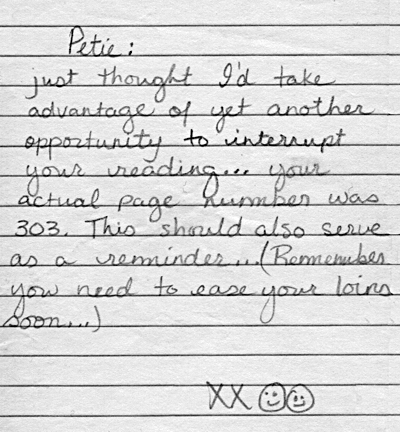 I found this note in a used book I purchased online. “…need to ease your loins soon…”???!!! Wow, this old broad is just gonna have to remember that line for future use!